That being said, here you will learn about an efficient tool called Wondershare UniConverter for Mac (originally Wondershare Video Converter Ultimate for Mac) that allows you to convert your MTS files to iMovie compatible format easily and quickly. Wondershare UniConverter (originally Wondershare Video Converter Ultimate) is available for both Windows and Mac computers and you can download the application from the links given at the end of this section. 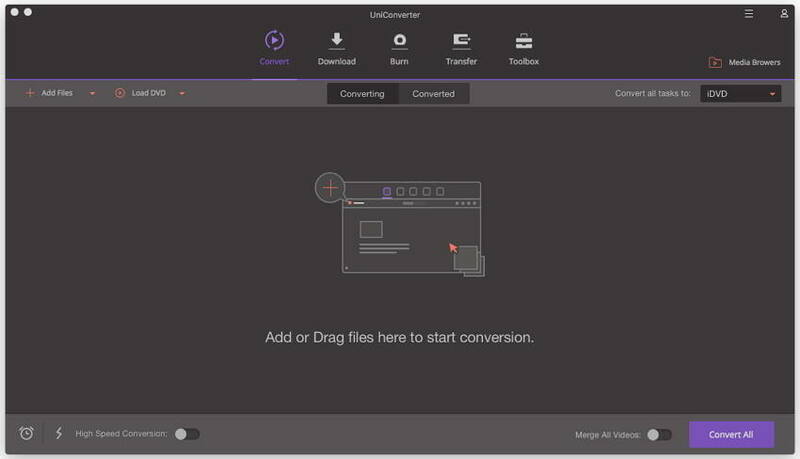 Wondershare UniConverter (originally Wondershare Video Converter Ultimate) not only allows you to convert your MTS files to an iMovie compatible format but also helps you transfer the files to your preferred devices after successful conversion. Not only this, Wondershare UniConverter (originally Wondershare Video Converter Ultimate) comes with several other features that make your life easier when it comes to converting and/or streaming video and audio files to different formats and/or for different devices. Burn video to DVD – Wondershare UniConverter (originally Wondershare Video Converter Ultimate) allows you to burn the videos to a DVD and create a data or media disc. In addition to this, the program also lets you create an ISO file out of the converted videos that you can burn using your favorite image to disc burner or mount it on a virtual image drive. Download online videos – When you click the Download section, you can download the videos from online streaming video sites right from your web browser. After downloading, you can convert, burn, and/or transfer them to your preferred devices. Media Server – This tab is present at the top of the interface and allows you to stream your videos to a connected TV. Video Conversion – The application allows you to convert the videos to different audio and video formats on the basis of target devices, file formats, or the sites where you want to share them online. How to Use Wondershare UniConverter (originally Wondershare Video Converter Ultimate) to Convert Files for iMovie? Step 1 Download and install Wondershare UniConverter for Mac (originally Wondershare Video Converter Ultimate for Mac). 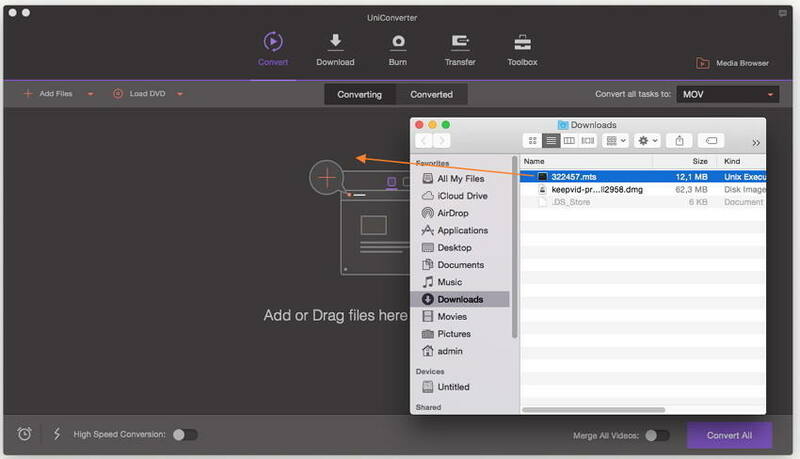 After downloading and installing Wondershare UniConverter for Mac (originally Wondershare Video Converter Ultimate for Mac), you can open it and you will enter the window of Convert > Converting by default. Step 2 Add MTS file to the program. Open the folder where the MTS file that needs to be converted resides. Drag and drop the MTS file into the middle section of the program’s interface. Wait until the file is added to Wondershare UniConverter for Mac (originally Wondershare Video Converter Ultimate for Mac). 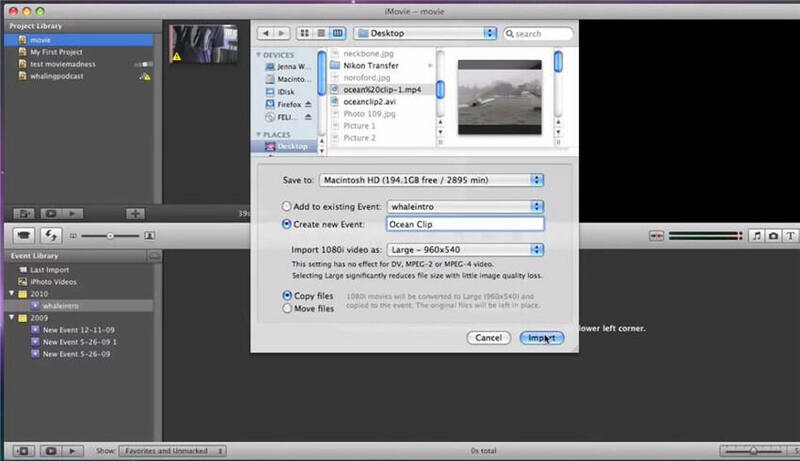 Step 3 Select iMovie as the output format. Click the inverted triangle beside Convert all tasks to, from under the Output Format section, click the Editing category and select the output format iMovie and the related resolution. 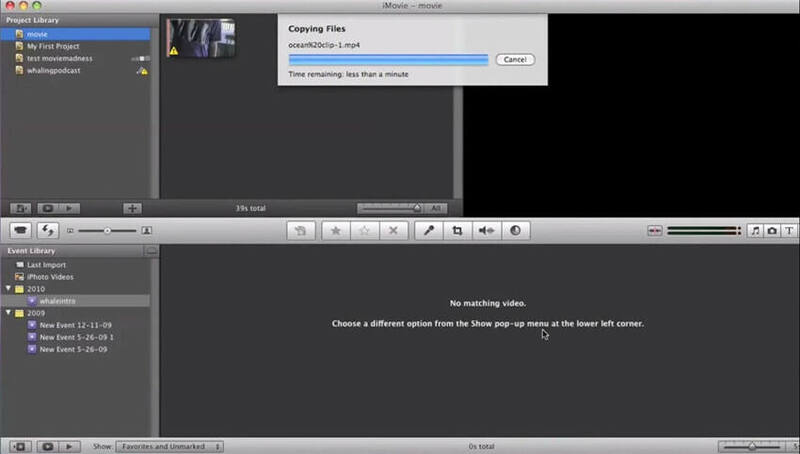 Step 4 Convert MTS file to iMovie compatible format. 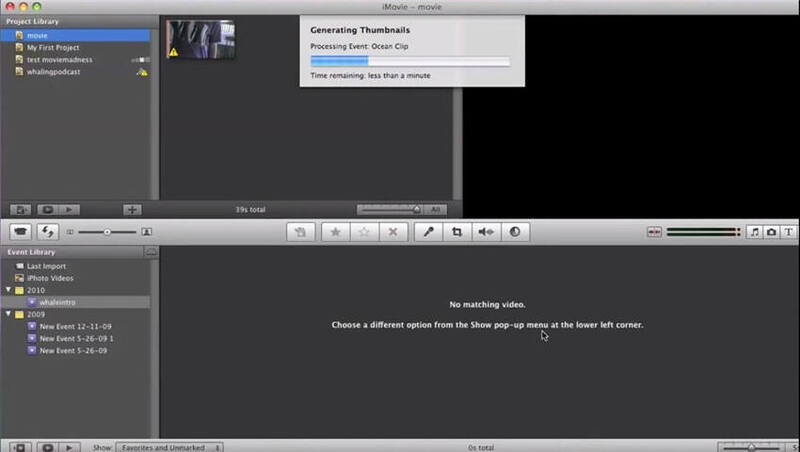 Click Convert All button to start the MTS to iMovie conversion. After a while, you can find the converted file in the Converted section. 1. 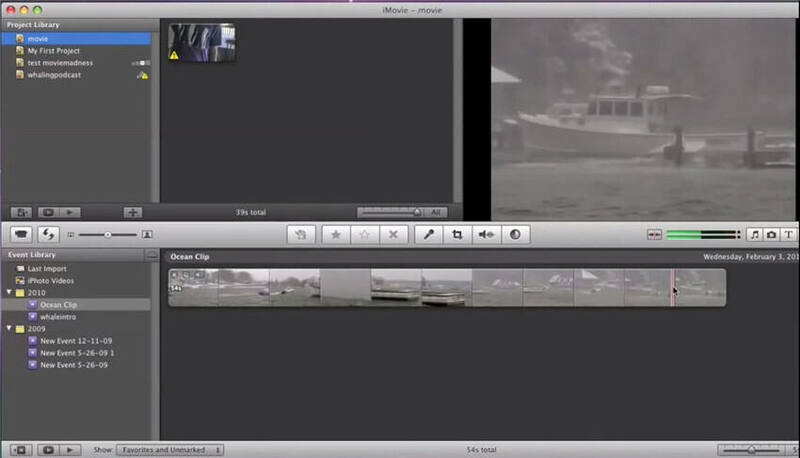 Open iMovie on your Mac computer. 2. Click the File menu from the top of the interface. 3. From the displayed menu, click Import Movies. 4. 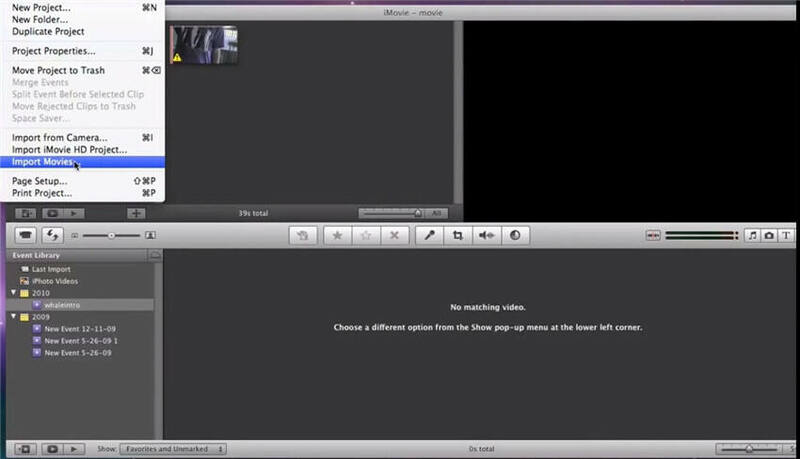 From the opened box, locate and click to select the converted file that you want to import to iMovie. 5. Once selected, from the lower section of the box, click to select the Create new Event radio button. 6. In the available field, type a name for the new event. 7. Optionally, you can choose your preferred video size from the Import 1080i video as drop-down list as needed. 8. Ensure that the Copy files radio button is selected from the lower-left section of the box to make sure that the original file is not modified, and its copy is created when you edit the video. 9. Click Import from the bottom of the box when done. 10. Wait until the video file is imported to iMovie. 11. Wait until iMovie generates the required thumbnails. 12. Once done, you can start making the required changes to converted and added video. The Advanced Video Coding High Definition (AVCHD) video files that are captured using a camcorder or video camera use the .MTS extension. Because these files are raw and due to certain limitations, the they cannot be imported directly to iMovie. That being said, an efficient conversion tool is needed to convert the MTS files to an iMovie supported format before they can be imported to the program for further editing or modifications as needed. 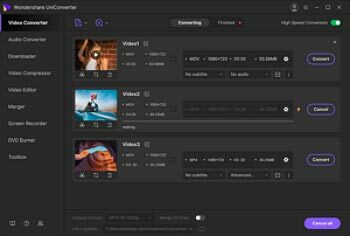 Although there are several applications available in the market that can convert the MTS files to iMovie supported format, Wondershare UniConverter (originally Wondershare Video Converter Ultimate) would be your best bet as it provides a user-friendly interface and makes the overall conversion tasks easy.